While the performance of the Yamaha YFZ-R3's 321 cc engine may be just right for riders seeking a sport bike in a small package, its edgy modern looks may not appeal to everyone, despite a facelift for 2019. GG Retrofitz may have just the solution if you'd prefer something more from the past than the future. 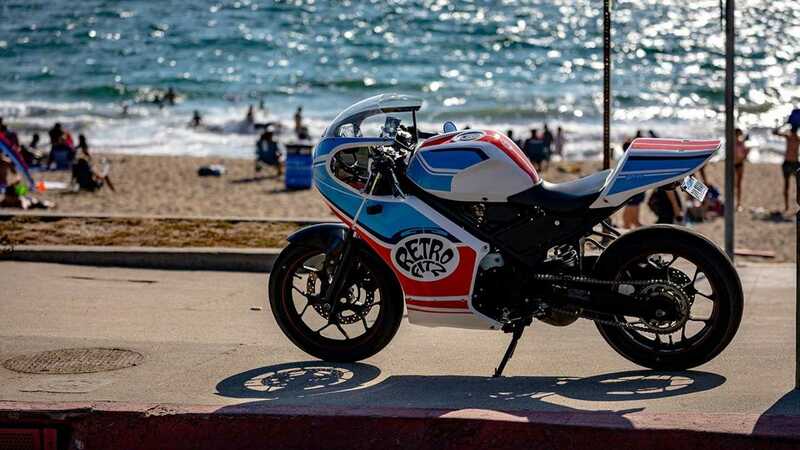 The Rocket Street kit is a cosmetic-only package that replaces the sharp edges of the standard fairing with the swerves and curves of a classic cafe racer. 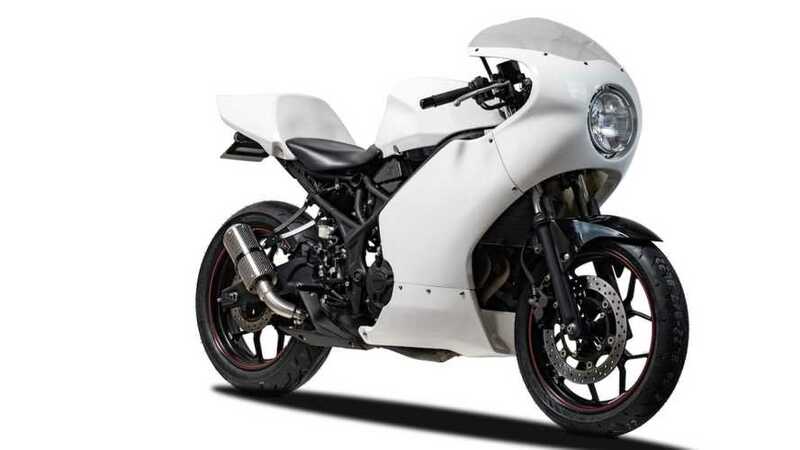 The included bodywork replaces the front cowl, windscreen, left and right fairings, lower cowl, and tail cowl. It also includes a fuel tank cover as well as all the hardware you will need to transform the look of your R3. All of these parts weigh just 13 pounds, 8.8 pounds less than stock. In addition to the kit, you will need to switch to a set of clip-on handlebars and supply a single 7-inch round headlight to complete the retro look. The standard kit, which costs $1,198, supplies all body parts in pure white. You can leave it alone or use it as a canvas upon which to paint whatever color scheme you want. For the less artistically inclined who still want a splash of color, GG Retrofitz also offers three graphics kits for an additional $298 each. I'd take the Podium kit, which emulates the classic blue and orange Gulf color scheme that has adorned many successful racing vehicles over the years, with my usual racing number 54. The Rocket Street kit is designed specifically for the 2015-2018 Yamaha R3. There are no changes to the engine or suspension, so the bike will retain all of the fine performance characteristics that make it a good starter bike. This kit will give your first bike a splash of unique style at the same time. No one will believe it's an R3 under the skin.